Genuine gratitude supports the giving & receiving of true care for each of us. Judy’s sessions are very powerful! I have been feeling big changes in very beneficial ways physically, emotionally and in my real life. I had some health issues in February 2018. Doctors couldn’t find out why I had chest pain, and I was feeling very uncomfortable. Within 10 minutes into my session, the chest pain was gone. It was amazing! With Judy’s specialty in working with childhood trauma, I’ve been doing a lot of Inner Child work. I can definitely feel the differences…my inner being is stronger, my boundaries are better, and I speak up when appropriate feeling more confident. Through Judy’s help, my healing business has gone to higher levels. China is now being opened for ThetaHealing. Being a regular client of Judy’s, I look forward to her sessions every week, and highly recommend her sessions and classes. Judy is amazing! As an intuitive energy healer myself, and with a background as a psychotherapist and a university professor, I can attest to Judy’s excellence as a ThetaHealing Intuitive. I originally referred my wife to Judy to deal with some unresolved childhood trauma. My wife has made exceptional progress. I then referred myself to Judy to deal with some chronic low back pain and have made excellent progress myself. Judy’s care, gentleness, and skillful guidance are extraordinary in my experience. Her ability to be present for a client, her astute grasp of the nature of human dilemmas, and her remarkable ability to use her intuition on a client’s behalf, could only exist in someone with decades of experience in artfully guiding people into new, happier, and more meaningful lives. “I have been working with Judy for many years, and I am amazed by her skill and care. We have worked on many issues, and I have found Judy to be a skilled healer and gifted listener. I have suffered grief, revisited childhood trauma, focused on getting healthy and balanced, and created the life I envision. Judy has demonstrated such care and safety for me to walk through very difficult moments. I have felt supported to look at aspects of myself that felt overwhelming. Judy’s voice leads me through the toughest moments in a way where I am willing to do the hard work because I have someone by my side who is loving, knowledgeable, and gentle. I place the highest trust in Judy and recommend working with her. I feel amazing, lighter and clearer than I have for awhile. Thank you for allowing me to remember the truth of all things – that I AM the light of God spark and love…it is all within me. You are an amazing healer and I feel deep gratitude for your skills and for having connected with you. I was plagued with the type of fatigue which I had felt when I first was diagnosed with Lyme eight years ago. I called Judy for help. Within the session hour, she took me on a journey through my beliefs, powerfully assisted me in changing them, and I immediately felt 90% better. By the next day, I was back to myself. I have had another miraculous shift in my health since the appointment… my blood pressure has consistently remained at 130/80 without medication, and my husband has noticed that I have been sleeping sound night after night. This has been a pleasant, unexpected benefit of our session. I have worked with healers all over the world, and Judy is the real deal! She is truly a gifted practitioner. The session you gave me allowed to me to go deeper into self love, into valuing myself and others which I was not doing much before. As a result, I am more at peace and more myself and real with everyone, including my clients. There is less self judgment and more acceptance….It’s like I woke up from a trick I was playing on myself that, at the time, was creating the illusion of disconnection from myself and others. I am grateful for having woken up from this one! Just awesome overall! I have had four ThetaHealing sessions with Judy, which have been the most effective after having worked with other practitioners. Judy has been fantastic in assisting me with clearing/releasing old beliefs, fears, rejection and separation feelings. They were all holding me back in the way I treated and saw myself, and consequently those beliefs were affecting my physical health. I had had migraines for more than thirty years and nothing in the world seemed to help me get rid of it. But Judy wisely assisted me in healing that. She guided me through a physical detox, but most spectacular was her guided meditation (not a simple meditation but rather a deep dive through which I encountered my true self), which helped me tremendously in the process of emotional detox – the big culprit of all dis-eases. 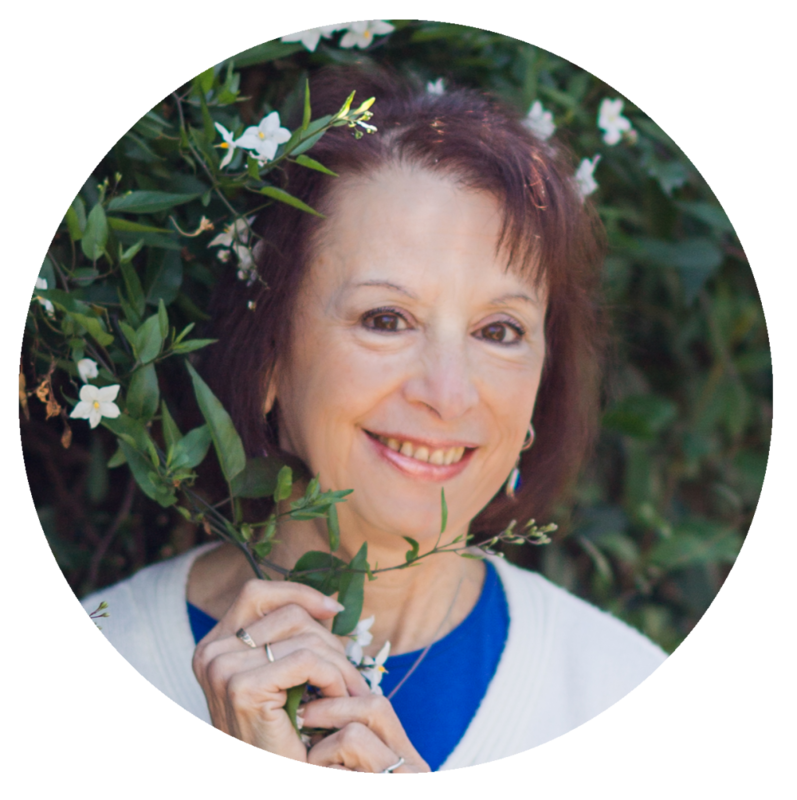 Right from the first session with Judy, I felt so tuned-in to the healing process with her that I had no doubts I wanted to continue in that path to reach more light and healing. Judy helped me to understand behaviors and feelings that had been fuzzy to me up to that point. I noticed right away improvements in my overall well-being. My thoughts became clearer, my objectives more defined, my self-love much stronger, and my body got rid of old, chronic pains. 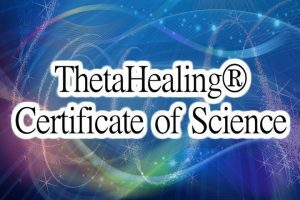 I recommend ThetaHealing – especially with Judy- to everyone who is truly in search of physical healing and spiritual enlightenment. 2016 Rosangela Taylor; Writer; Rockford, IL. Working with Judy has been an incredibly sacred journey for me, and has allowed me to heal in ways I could have never done alone, or with someone else, or through other modalities. I credit much of this success to Judy being so impeccable in doing her own work and walking her talk in the most consistent of ways. She teaches and guides through her connection to All-That-Is in the most authentic of ways. I have re-taken classes with her, participated in practicums, worked one-on-one with her, laughed, cried, and ultimately felt sacredly and lovingly supported in my journey through All-That-Is and Judy’s alignment with Creator. I am beyond grateful for Judy and recommend her gifts, services, and classes unequivocally! I had a session via Skype with Judy and have not had a migraine since. I now have more days for living! Thank you SO VERY MUCH, Judy. I have experienced anxiety and panic for much of my life. Many of those situations were ones in which other people might also have had a similar response – interviews or speaking in front of a group. But the anxiety had also made it virtually impossible for me to grocery shop by myself, and I needed to take medication to fly on a plane. So though I was very confident in some regards, the anxiety and panic would appear at other times. The reason was completely unknown to me. Being a Natural Therapeutics practitioner for well over 20 years, I have had various treatments in many modalities to assist me in coming to greater health and to better myself including talk therapy and self-awareness workshops. All of these were effective, but, as of late, I have felt that I have merely cleared away the brush and had uncovered some very deep, imbedded roots that were beyond my knowledge in dissolving. 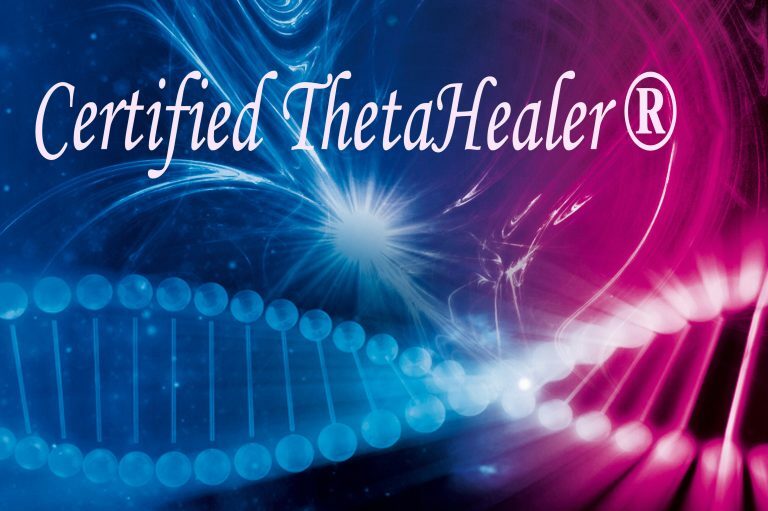 In having my first Theta Healing session with Judy, we addressed a repeating pattern of depression that spiraled into anger and never went beyond that. Though tapping, tuning forks, prayer and visualization helped somewhat, nothing actually got rid of the source of the anger. After our hour phone consultation, I felt as though “something” was missing. It’s like the feeling you have when you’ve worn a ring for a long time and then take it off…there is an awareness that something feels different about your hand, notice the ring is missing, and then go about your day. You sense the “missing-ness” less and less often, till you forget altogether that you used to wear something there. Since the session, I have had life occurrences and situations that would have formerly sent me into an anger cycle. Instead, I simply got irritated or frustrated (much more appropriate emotional responses for the circumstances) for a short time and was able to then move on to more productive, uplifting thoughts. This may seem like a small thing to someone else, but it’s MAJOR to me as I prefer to put my energy toward positive thought and action. 2013 KB, Sonoma County, CA. 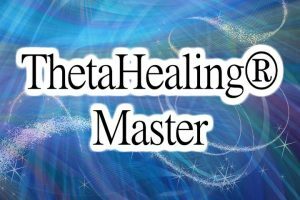 I have done the ThetaHealing Basic and Advanced workshops in India as well as receiving 10 ThetaHealing sessions from another ThetaHealer but was not completely satisfied. Then I took three sessions from Judy with issues that had troubled me for many years. I came to know her as an expert in and having a lot of experience with clearing deeper childhood issues. My relationship with my father improved after 40 years of resentments. The reoccurring issues with constipation and the shoulder pain I had for over 10 years were healed. I received resources on communication skills and supplements to support my healing. More importantly, I could completely trust Judy as a friend and guide. I have sincere gratitude and respect for Judy in being a great help in my life. The fear of speaking my truth has been removed with this ThetaHealing technique! Judy’s bedside manner was perfect for me. I really appreciated her clear communication, organization, thoughtfulness, compassion and professionalism. She made me feel comfortable through my tears and talked me through the tough parts. I respect her. Thank you, Judy! 2013 Dr. Eve Mignone Payan, D.M.Q. 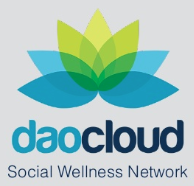 (Doctor of Medical QiGong, China), CA. I’ve been summing up the last year’s results and feel the urge to thank you again for appearing in my life in such a surprising way. Your book and your digging sessions have made a huge difference to me both for my day by day awareness and for the way I do the digging now. I am looking forward to have our mitochondria meet again in a new session. I had been experiencing depression symptoms for about 6-9 months. After getting checked out by medical doctors and working with several modalities of alternative practitioners, I had not found complete remission from my symptoms. Unwilling to accept anything less, I kept searching for answers. A friend, who is a therapist, asked if I would consider seeing a medical intuitive. Having never really heard of that, I was a bit skeptical but open to the idea. I was amazed that in a single session, my symptoms were eliminated. Before I experienced ThetaHealing for myself, I don’t think I truly believed that instant healings were possible, but now I “own” that understanding because it happened to me–the depression is completely gone! My symptoms have never returned in over 3 years—I don’t take or need any medications or supplements for mood issues. I am SO grateful! 2011 L. E. C., Sonoma County, CA. As a result of the session that I had with Judy in March ’11, I am amazed that a persistent leaky bladder issue has now completely cleared up…I just no longer have that problem. As far as my lack of confidence and being self conscious about my weight, for the first time in my life this has changed. It just isn’t an issue any longer. I looked in the mirror, and it was as if I was seeing myself, my real self, for the first time. I’m feeling as if a weight I’ve been carrying for a very long time has been lifted off my shoulders.